Last month, I gathered with several friends for a tasting of California’s “hipster” wines. 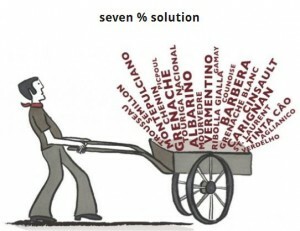 The goal was to explore the wines being produced by revolutionary vintners — those in Napa Valley willing to eschew Cabernet Sauvignon in favor of Ribolla Gialla; those making distinctly American wines by identifying California’s oldest vineyards; those who embrace California’s vast and varied climate by bottling esoteric grapes. All the wines, which were pulled from our personal cellars, came from Arnot Roberts, Bedrock Wine Co., Broc Cellars, Dirty & Rowdy, Forlorn Hope, Jolie-Laide, Massican, Matthiasson, The Scholium Project, and Two Shepherds. While I didn’t take formal notes, all the wines were fantastic. And it was fun to open some eyes up to the fact that California produces more than just the usual suspects. On May 11, seventeen producers will gather in Healdsburg to showcase their wines. The producers include all the wineries above, along with Idlewild Wines, Leo Steen RPM, Ryme Cellars, Stark Wine, Unti Vineyards, and Wind Gap. Tickets are just $40. Without question, this is one of the most exciting wine events in the country. So in two weeks, regardless of where you live, you should consider packing your bags and heading to Healdsburg! Last week, I attended a Wines of Chile Master Class at Charlie Palmer Steak in DC, led by Master Sommelier Fred Dexheimer. The wines, which ranged from $9 to $85 per bottle (wholesale), didn’t disappoint. They were tasted in three flights — Chardonnay, Workhorse Reds, and Icons. The Chardonnays were from opposite ends of Chile, literally. 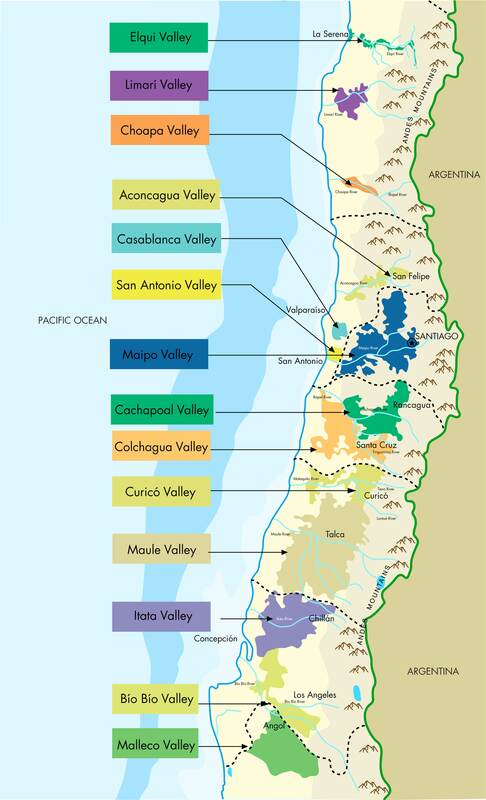 Two were from the Limarí Valley, in the north, and one from Malleco, at Chile’s southern end. Limarí, a subzone of the Coquimbo DO, has historically been known for bulk wine, table grapes, and Pisco distillation. But the region is home to veins of calcareous soil, much like the clay/lime soils of Burgundy. So it’s no surprise that the region is capable of producing Chardonnays with crisp minerality. Such minerality really showed in the 2012 Merino “Limestone Hill,” which was the most precise Chardonnay of the day and bursting with green apples, tart citrus and a leesy tang which developed while the wine matured in (likely neutral) French oak for one year. Slide this wine one on to your list of “Patio Pounders” this summer. Also from Limarí, yet on the other side of the Chardonnay spectrum, was the 2012 Concha y Toro “Marques de Casa Concha.” While this might be more popular among grandmas than sommeliers — it’s quite ripe and sees 12 months in French oak, at least some of which is new — it still features enough minerality and acid to be quite enjoyable. Considering this wine lands on some retail shelves under $15, why not? About 1,000 miles south is the Malleco region. The smallest wine region in Chile, Malleco is home to just 42 acres of Pinot Noir and Chardonnay. The 2010 Clos des Foufs “Latuffa” Pinot Noir was wild. Showing a deep color, akin to Santa Rita Hills Pinot Noir (perhaps a similar black rock soil? ), the nose was overt with notes of garrigue, sage, smoke, and meat. The fruit profile on the palate showed bursting berries and bramble, with the innate acidity of Pinot Noir and a soft grip to it. Of course, if you want to drink Chile, it’s big red territory. So I was pleased to see the 2009 Emiliana “Coyam” on the table when I walked in. It’s a wine with which I have had a lot of success selling at Bourbon Steak DC and one I would certainly consider ordering myself. This vintage is a biodynamic blend of Syrah, Carmenere, Merlot, Cabernet Sauvignon, Mourvèdre & Petit Verdot. A very complex nose brings about dried spices, animale, and ripe dark fruits. Pit it against your favorite chewy Napa or Washington red. The last flight featured the “icons.” A list of outside Chile’s outside investors reads like who’s who list — Los Vascos and Château Lafite-Rothschild; Concha y Toro and Château Mouton-Rothschild; Miguel Torres; Michel Rolland; etc. Iconic indeed. 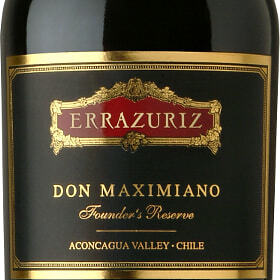 A look into how these wines can age was provided by the 2007 Errázuriz “Don Maximiano.” The structure on this wine featured a regal, even tannin set, refreshing acidity and well-integrated fruit and earth. I’d be excited to try this wine in ten years — or more. In case you’re wondering, all the reds, had a pyrazine, or green pepper, character – even the expensive ones. As they should! The Cabernet family of grapes has this characteristic, and if the flavor is integrated, it helps give wine depth, structure, and adaptability to food as a savory component. Many times I’ve seen a quality wine dismissed for this aspect, but honestly, if your Cabernet is not showing some green aspects, that’s the wine that should be put into question. Now that I’m off my soapbox, drink some Chilean wine! It’s no secret that everyone at Terroirist is a big fan of Oregon wines. The photo that serves as the header to the site (and our Facebook page) was taken at the Wine Country Farm in Dayton. In a wine column last year, I wrote about the “charm” of Oregon’s wines. And we’ve featured a number of Oregon winemakers in our interview series — including Derek Einberger of Patton Valley Vineyard, Jon Jennison of Thistle Wines, and Dave Paige of Adelsheim. So I’m not very happy about missing the North Willamette Vintners’ 5th annual Wine Trail Weekend, which takes place next Saturday and Sunday (4/13 and 4/14) from 11:00AM-4:00PM. Over the weekend, attendees will be able to stop at nearly 20 different wineries, where they’ll be able to taste new releases, barrel samples and even some library wines and reserve bottlings. Tickets are $45 per person for the full weekend, or $30 for Sunday only. They’re also offering designated driver tickets for just $10. 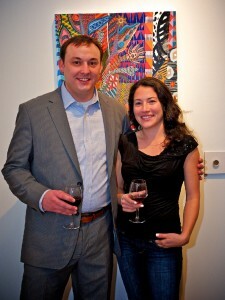 For tickets, a full list of participating wineries, and more information, please visit www.nwvintners.org. The best news? We’re giving away a free pair of tickets for the entire weekend! To have a chance to win a FREE pair of tickets ($90 value) to the 2013 North Willamette Wine Trail Weekend, just leave a comment naming your FAVORITE Oregon wine. Please note that you have to “like” our Facebook page to be eligible. The contest ends on Monday, April 8, at 12:00pm PDT. Good luck! Free Tix to Le Cercle Rive Droite in NYC! Having just returned from a fabulous trip to Bordeaux, my only regret is that I had time for only one bank. I spent several days on the Cabernet-dominated Left Bank, but missed out on the elegant and structured wines of the Right Bank. Fortunately, I’ll have a chance to remedy this omission at the upcoming Le Cercle Rive Droite event in New York, where 32 Right Bank producers will showcase their recently released 2009s and 2010s. Terroirist is happy to offer a reader giveaway for two tickets to the Le Cercle Rive Droite Event in New York City on Thursday, April 18th. The event takes place from 6-8pm at Millesime at The Carlton Hotel (92 Madison Avenue at 29th Street). Tickets regularly sell for $150, with 10% of ticket sales going to Citymeals-on-Wheels. To enter for a chance to win, leave a comment on this post naming your favorite Right Bank chateau! We’ll randomly select a winner on Monday, April 8th. Additionally, all Terroirist readers will receive a 30% off discount code for tickets to the event! More to come on that when we announce the winner. Leave a comment to enter today! Rhone Rangers San Francisco: Free Tix! It’s no secret that I love America’s Rhone-style wines. I’ve long enjoyed the offerings from L’Aventure, Qupe, and Bonny Doon. The wines from Two Shepherds – a new project from blogger-turned-winemaker William Allen – are worth seeking out. So I’m stoked that Terroirist is able to offer TWO FREE TICKETS to the Grand Tasting for this weekend’s Rhone Rangers event in San Francisco! From 3pm till 6pm Saturday, attendees will have the chance to taste more than 500 wines from over 100 Rhone Rangers member wineries. Like last year, consumers will once again be able to purchase wines! Tickets are just $50. This year’s celebration will also include a winemaker dinner and some very cool seminars. And I’ll be there! To have a chance to win a FREE PAIR OF TICKETS (a $100 value!) to the Grand Tasting, just leave a comment naming your FAVORITE American Rhone-style wine. For an extra entry, tweet to me (@terroiristblog) and the Rhone Rangers (@RhoneRangers) with your favorite American Rhone-style wine, using the hashtag #RRSF. The contest ends tomorrow, March 18, at 8:00pm ET. Good luck! As a wine buyer, I attend quite a number of wine-related events — meeting winemakers touting their newest labels, hearing about breakthrough production methods, chatting about the latest trends, and the like. Rarely am I truly caught off guard by the story of an organization and its impact on the industry and society. A few weeks ago, I attended the book release for Rock and Vine: Next Generation Changemakers in America’s Wine Country, by Chelsea Prince. The book is thoughtful and insightful, and full of lovely photos and tidbits about some rising stars in the U.S. wine industry. Many interesting people were in attendance, from the winemakers interviewed in the book to a myriad of press and wine trade folks from different organizations throughout San Francisco. But one person and the company he represented caught and held my attention for the entire evening. His name is Jessup Marion, and his company is Wine to Water. After speaking to Jessup for quite some time, I realized the story of Wine to Water needed to be broadcast. That night was the first time I had ever encountered this organization, and I’m sure many (especially on the West Coast) have never heard a word about it either. Jessup, the acting Wine Director of Wine to Water, related the story of the company’s founding and its goal of giving the more fortunate people in the world an opportunity to change the lives of the less fortunate by bringing them one of the most basic needs for health and happiness: clean running water. In 2003, eight friends got together to taste wine and share a traditional Thanksgiving dinner. The event started growing, and just a few years later, 23 people were packed into an apartment for a sit down Thanksgiving feast and 7-flight wine tasting. The original dinner guests then realized they could turn the event into something bigger – so in 2007, they launched Uncorked, an annual event that would raise money for So Others Might Eat (SOME), a Washington-DC based organization that helps the poor and homeless. And I’m serving on the host committee – so please come! For a limited time, tickets are available for the discounted price of $95. After you buy your tickets, be sure to also RSVP on Facebook. If you can’t make it to the event but still want to help out, let me know! We’d be happy to take your money, of course, but we’re also looking for silent auction items. Whether it’s tickets to sporting events, gift certificates, or rare bottles of wine, we’ll take them! Uncorked DC is also looking for sponsors. Rhone Rangers New York: Free Tickets! I’ve long enjoyed the offerings from L’Aventure, Qupe, and Bonny Doon. The wines from Two Shepherds — a new project from blogger-turned-winemaker William Allen — are worth seeking out. So I’m stoked that Terroirist is able to offer TWO FREE TICKETS to the Rhone Rangers Big Apple debut at City Winery NY! At 6:00pm on Wednesday, November 7, more than 30 different wineries will descend on City Winery to pour more than 130 wines! The list of participants is impressive: Bonny Doon, Broken Earth, Cornerstone Cellars, Cypher, Donelan Wines, Fess Parker, Folin Cellars, Halter Ranch, Jada, Kenneth Volk, L’Aventure, Martha Clara, Michael-David, Petrichor, Pomar Junction, Proulx, Qupe, Refugio Ranch, Ridge, Stark, Tablas Creek, Tarara, Treana & Hope Family, Two Shepherds, Villa Creek, Vina Robles, Vines on the Marycrest, Wrath, Zaca Mesa, and Zenaida Cellars. Tickets are just $65. Some light appetizers will also be served. 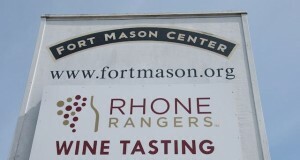 The Rhone Rangers are also organizing a winemaker dinner on Thursday night for just $75. To have a chance to win a FREE PAIR OF TICKETS (a $130 value!) to the Grand Tasting, just leave a comment naming your FAVORITE American Rhone-style wine. For an extra entry, tweet to me (@terroiristblog) and the Rhone Rangers (@RhoneRangers) with your favorite American Rhone-style wine, using the hashtag #RRNY. The contest ends on Thursday, November 1, at midnight ET. Good luck!